Triexta is a relatively new carpet fiber to the market that you’ll see called several different names. 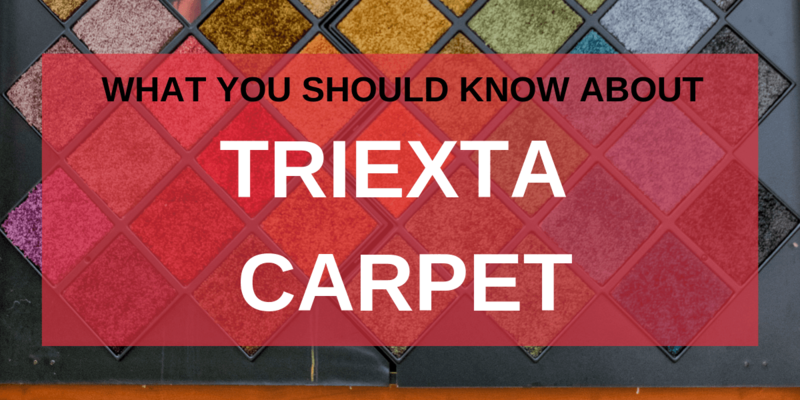 Sorona, SmartStrand, or PTT are all different names for triexta. For now, the primary manufacturer of triexta carpet is Mohawk, under the name SmartStrand. It’s an incredibly soft, beautiful carpet option that may work great in your home. Let’s take a look at some of the pros and cons of the newest carpet fiber on the market. The main issue so far with triexta is that it has not been on the market for very long. There are claims that it is very durable and stain resistant, but it just simply hasn’t been around for long enough yet to substantiate those claims. And without the tried and true testing, there is no real way to know how long your carpet is going to last. There’s no way around it. Triexta carpet is expensive when compared to other synthetic carpet fibers. Mohawk has made claims that triexta is stronger and more durable than nylon, which is often considered the strongest fiber on the market. And it does appear to hold up very well, so far. It holds up well to high traffic. It is durable and resilient. Triexta is very resistant to staining, making it an excellent carpet for homes with kids, pets, or if you just worry about spills. It can withstand some of the toughest stains, including red wine and coffee. Triexta is a carpet fiber that seems like it will end up being a great competitor to nylon, the current king of synthetic carpet fibers. Currently, it is a very durable and stain resistant carpet option that holds up well to whatever you might throw at it. If you need more help deciding on a carpet, let us help you choose a carpet or flooring option that will fit your home, budget, and lifestyle.